Happy New Year everyone! The one thing I always like about a new year, is the feeling that you can change your whole outlook on life in one day. Between the transition of 11:59pm and 12:00am, you can decide that you will be a whole new person, with all new goals. 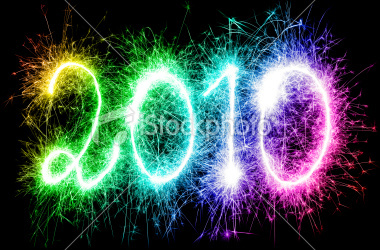 I have decided that 2010 will be more about me, than about me trying to fulfill what I think is “me”. I can definately say I spent that last decade trying to achieve an image of myself, which only caused me stress and worry. In the past decade, I had a total of 7 surgeries, including the colectomy, facial reconstruction for an underbite, tonsils, removal of dysplasia cells, and removal of my wisdom teeth. I also dealt with coming out to family and friends, achieving a college degree, attempting a long-term relationship, and finally getting a full-time job. Not to mention the whole ulcerative colitis and major surgeries combination, just to end out the decade. Of course, I don’t find this to be any more intense than anyone else’s life, I’m just ready to close out the chapter of the 2000’s and start a new one with the 2010’s. I rang in the New Year just the way I wanted my new life to begin: I went out alone, and I went home alone. I couldn’t really get any friends to commit to going out, and I didn’t want to hang at someone’s apartment, I wanted to go dancing and have a good time. I normally would NEVER go out alone, because I usually would just feel like some weirdo in a corner, but I had decided that it would be a self-exploration exercise. I walked into the club with confidence and ordered a drink at the bar. There were couples everywhere, so I went upstairs to the dancefloor. I stayed up there most of the night, making eye contact with one guy that had been staring me down for a little while. This made me smile, and no matter how you feel about yourself, it’s always good to know you still got it! As the countdown began, I briefly worried that I wouldn’t have anyone to kiss at midnight, then realized that I didn’t NEED anyone to kiss at midnight. If I had myself, I had enough. When the clock struck midnight, there were cheers and screams and I apparently was standing under a confetti bucket, because about a pound of confetti fell on me, in my drink, and in my champagne toast. It sucked, but was kind of funny, haha. This opened up the window for that guy to approach me, because he came over laughing and helped me brush off the confetti, to which we discussed the joys of being out on New Year’s Eve. We chatted for a little bit, and danced for a little bit, but he wasn’t totally my type. Normally, I would ignore it and still want to hang out with him, and I would secretly never be happy about it and it would eventually cause us to have an argument about two months down the line when we can’t figure out why things aren’t working out. So I had taken lessons from the past and decided to not make the same mistakes again. I hung around the bar again for a little bit and some guy came up to me and said that I was “the most gorgeous person of the new decade”. Haha, this really got me going and I thanked him and decided that now was a good time to leave the bar, because I was feeling great about myself and great about the new year.